Kevin Conley is CEO of Everspin Technologies, the only commercial producer of discrete MRAM devices. Before joining Everspin, he spent over 21 years at SanDisk, a market leader in flash memory, rising to the positions of CTO and Sr VP/GM, Client Storage Solutions (CSS). He has a passion for transforming markets through disruptive technologies as evidenced by his role in driving flash memory into photography, music, and information storage applications. Conley has 25 years of experience in the non-volatile memory business and holds over 80 patents in non-volatile memory architecture and management. He earned an MS in computer architecture/ASIC design and a BSEE from Santa Clara University, and graduated from Stanford's Executive Program. MRAM is finally fulfilling the promise of true universal persistent memory, delivering the benefit of persistence with the performance and endurance needed for memory workloads. MRAM is over 100,000 times faster than flash memory, has memory class endurance, and can attach directly at the CPU memory interface. It meets the demands of high-speed caches, accelerators, long-lifetime embedded systems, low-power applications, and much more. Rapidly emerging markets for MRAM include artificial intelligence, robotics, enterprise storage, fintech, mobile edge devices (IoT), smart factories, automotive, medical imaging, and drones. For developers to harness the potential of MRAM, a new design approach is needed, one that assumes non-volatility from the start. The industry must also foster an ecosystem of hardware and software suppliers, technical expertise, support groups, and standards. MRAM is in production now, gaining traction with customers, and its market opportunities will only multiply as designers discover the incredible benefits it delivers. Headquartered in Chandler, Arizona, Everspin Technologies, Inc. is the worldwide leader in designing, manufacturing, and commercially shipping discrete and embedded Magnetoresistive RAM (MRAM) and Spin-Torque MRAM (ST-MRAM) into markets and applications where data persistence and integrity, low latency, and security are paramount. With over 70 Million MRAM and ST-MRAM products deployed in data center, cloud storage, energy, industrial, automotive, and transportation markets, Everspin has built the strongest and fastest growing foundation of MRAM users in the world. More information is available at Everspin Technologies. 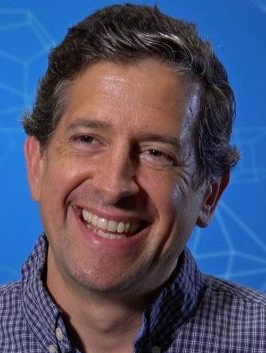 Mike Mendicino is VP Leading Edge CMOS at GlobalFoundries (GF), where he focuses on chips ranging from high-performance computing to connected devices and IoT consumer applications. He is responsible for technical marketing and business management of GF's most advanced technology nodes. 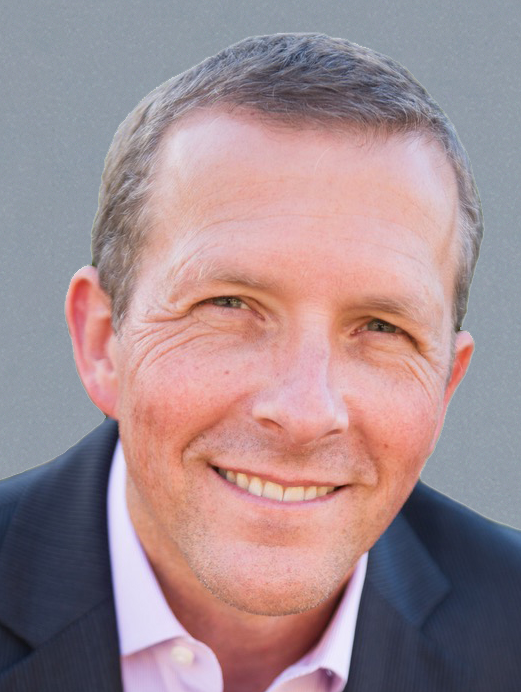 Mike previously worked at Freescale Semiconductor where he held leadership roles in advanced technology development and transfer, manufacturing, strategy, and technology solutions for network products. Mike is a recognized industry expert in high-performance and low-power CMOS technologies including silicon-on-insulator (SOI) and FinFET. He has authored over 40 technical papers and holds over 10 US patents. Mike earned a PhD in chemical engineering from UIUC (University of Illinois at Urbana-Champaign and has over 20 years experience in the semiconductor industry. Embedded Spin Torque MRAM (eMRAM) is ramping into risk production at multiple foundries for fabricating 2Xnm SoCs. eMRAM's fast write speed, high endurance, and low operating voltage make it an attractive solution in a variety of applications. In particular, the combination of eMRAM and RF technology, fully integrated on a low power FDSOI process, is an excellent solution for battery powered IoT applications. Future anticipated technology advances will open up even more applications; such as power efficient working memory for AI training workloads. SoC designers should begin now to look into designing and prototyping with eMRAM as it becomes a widely available system component. GLOBALFOUNDRIES is a leading full-service semiconductor foundry providing a unique combination of design, development, and fabrication services to some of the world’s most inspired technology companies. With a global manufacturing footprint spanning three continents, GLOBALFOUNDRIES makes possible the technologies and systems that transform industries and give customers the power to shape their markets. GLOBALFOUNDRIES is owned by Mubadala Investment Company. More information is available at GLOBALFOUNDRIES. Brent Yardley is a Senior Technical Staff Member and Master Inventor with IBM Systems, where he focuses on developing All Flash Arrays (AFAs). Brent is currently the overall Chief Hardware Engineer responsible for the hardware architecture, design, and integration of IBM's highly successful FlashSystem products and the planning of future generation storage platforms. 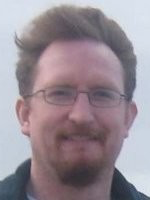 He specializes in system designs that integrate multiple I/O protocols, FPGAs, and ASICs, and is an expert in both software design and Linux system integration. An 18-year veteran of IBM, Brent holds multiple patents focused on storage solutions and has received a Best of IBM Award. He has an extensive background and understanding of the architecture, design, and implementation of highly available storage-based systems and solutions. He earned BS degrees in both Software Engineering and Hardware Engineering from the Oregon Institute of Technology. Spin torque MRAM technology is currently at the point where it has advantages over embedded flash at advanced nodes. It provides an excellent balance among factors such as performance, power, endurance, and persistence. The next step in its progress will be devices that enable a new type of low-power, high-speed mobile cache. Still later, and requiring significant breakthroughs, will come challenging last level cache applications. Currently, product developers are using MRAM as a persistent data area and write cache for solid state devices. As a building block, it provides protection against power loss without DRAM's need for flushing. It also can serve as a nonvolatile repository for reconstruction and journal checkpoints. Designers can use MRAM to rethink traditional controller design to include extremely fast nonvolatile memory. At IBM Research, we invent things that matter to the world. Today, we are pioneering the most promising and disruptive technologies that will transform industries and society, including the future of AI, blockchain and quantum computing. We are driven to discover. With more than 3,000 researchers in 12 labs located across six continents, IBM Research is one of the world’s largest and most influential corporate research labs. More information is available at IBM.